Sustaining healthy relationships is important to all of our lives. To enhance your relationships with those who matter most, we will be hosting ‘Relationships Matter’ once a month. Our first Relationships Matter event will be held on February 9th from 10am-12pm. 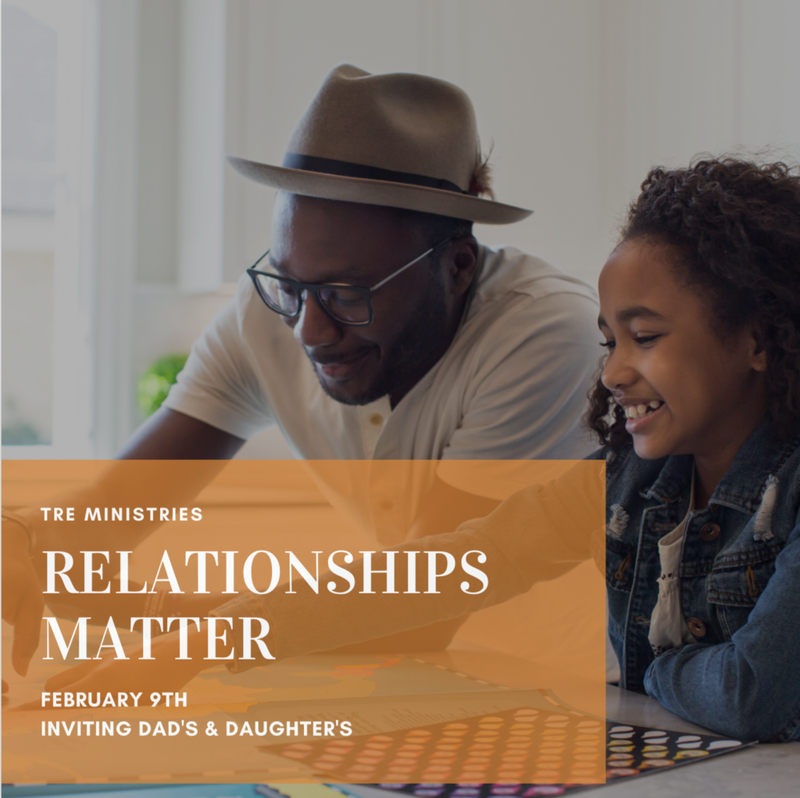 We are welcoming in Dads and Daughters to an open space where you can spend time investing in your relationship. The hot chocolate and topic questions will be provided. Spend the morning investing in creating a deeper, more impactful relationship with those who matter most.